Shaw Development LLC is a global fluids management specialist providing innovative component and system level solutions to OEM’s within the commercial and military heavy duty ground vehicle markets. Shaw’s aim is continuous and intelligent investment in research and core competence to develop processes, equipment and systems expertise establishing Shaw as a seamless extension of its customer’s development team. Shaw specializes in custom engineering, prototyping, short-run production verification and manufacturing of its customer’s fuel system, hydraulic fluid line component, plastics injection molding and Diesel Emissions Fluid (DEF) challenges. Shaw’s proven staff, dedicated to operational excellence, is poised to become your technology partner. Shaw Development® is proud of its heritage. Currently owned by the third generation of Shaws, the company traces its roots through successful companies, challenging industries and great forbearers. Frank Shaw started the first Shaw company in 1944. Shaw Metal Products was a New York based machine shop supporting the military through the end of World War II and the burgeoning regional aerospace market. Shaw Aero Devices, Inc. was founded in 1954 to place higher emphasis on the development of intellectual property and to start building strength in engineering as the company’s core capability. Frank’s son, Jim Shaw, was the catalyst to grow Shaw Aero Devices into a global leader of engineered specialty aerospace components and systems. Combined with globally recognized test facilities, Shaw Aero Devices became the industry standard for a variety of fuel, oil and water and waste components and systems. Shaw Development® was formed in 1959 to transfer Shaw Aero Devices technology to ground vehicle markets. Shaw Aero Devices had developed lift and turn technology for fuel caps, which Shaw Development® leveraged for on-road trucks, military, construction and mining vehicles. These caps have become standards for OEMs that either have robust operating environments, require additional features like 4-micron filtration, or simply need a cap that works effectively for long periods of time. Shaw Development® also successfully utilized aerospace refueling technology to make dramatic improvements in ground vehicle fast fueling systems. Historically, ground vehicle refueling systems utilized a simple float system that would cause pressure to build in the fuel tank. This lead to countless burst fuel tanks and/or over-filling the tanks wasting the fuel that spilled on the ground. Shaw Development’s® innovative solution introduced a pressure less refueling system that enabled the market to also innovate and move to composite rotationally molded fuel tanks. With broad appeal, Shaw has subsequently converted the majority of the OEM market to pressure-less refueling systems. The third generation of the Shaw family assumed ownership in 2006. This transition began the modern transformation of Shaw Development®. Shortly after, Shaw Development® embarked on a series of strategies to provide broader support to a globally expanding market. At a critical time of need for the country, Shaw Development® developed a ballistic proof fuel system for an MRAP (mine resistance armor protected) program. Stemming the loss of life of US soldiers fighting was a paramount priority. These vehicles were effective at eliminating the deaths caused by roadside IEDs in that environment. Shaw Development’s® fuel system was critical in supporting that mission. The company also started developing diesel exhaust fluid (DEF) reservoirs to support the imminent Selective Reduction Catalyst (SCR) requirements. 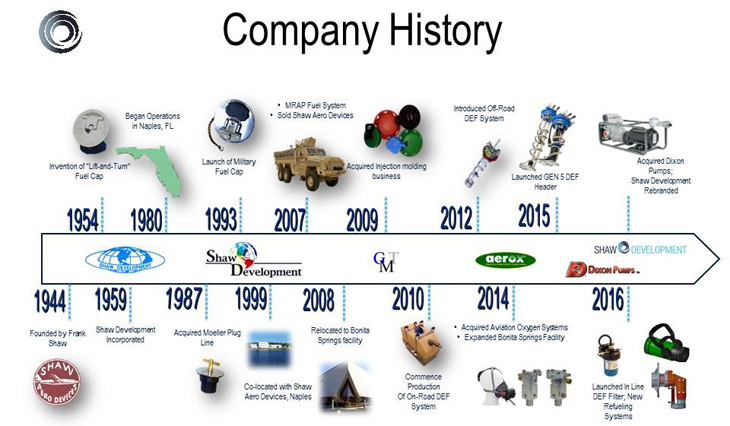 Shaw Development® expanded its test capabilities substantially and developed unique capabilities. Specializing in custom-engineered turnkey solutions, Shaw Development® developed the broadest range of reservoir applications of any supplier in the market. Shaw Development® engineered and validated solutions covering the fill cap and adapter, remote fill access, the multi-function head unit complete with sensors and the entire reservoir assembly. Shaw Development® maintains high levels of intellectual property in this market segment. Shaw Development® moved into its current 50,000sf facility in 2008. This enabled the company to expand manufacturing operations with additional machining, welding, paint, assembly and test capabilities to support increasing production programs. In 2009, the company vertically integrated plastic injection molding by acquiring Gulf Coast Mold. Shaw Development® has invested considerably in this process since the acquisition by focusing on process control, uniform tool standards and enhanced use of hands-free tools and the use of robotic pickers to perform more of the work. 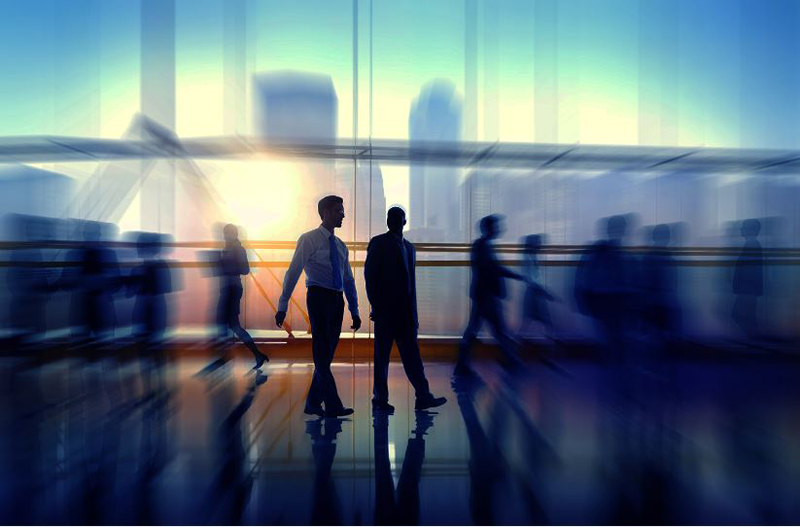 Between 2010 and 2013, major investments were made in people, process and products. Shaw Development® became certified to ISO 14001. Shaw Development® was recognized as the Manufacturer of the Year for the State of Florida. Shaw Development® continued its focus on developing new products and providing custom-engineered solutions. In 2014, Shaw Development® began a 17,000sf expansion to its facility. This added capacity is necessary to support growth in new product production, demands for additional test facilities and to ensure the company continues to support new customer requirements. 2015 - Shaw Development acquires Aerox Aviation Oxygen Systems expanding the portfolio into the Aerospace business aircraft segment. 2017 - Shaw Development acquires Dixon Pumps expanding Shaw Development's product portfolio into positive displacement pumping, fuel cleaning, polishing and filtering, and tank cleaning. To provide superior value through custom engineering and manufactured fluid management products in global markets. Respect: We respect each other and the work that we perform as a critical component of our business system. Each task is equally important. Honesty: We are open and honest with each other in our work and interactions. Trust: We recognize that trust must be earned. We strive to gain the trust of our fellow employees. Motivation: We pride ourselves on self-motivation. We seek out worthwhile work and efficiency. Responsibility: We take ownership of our actions and decisions. We perform to the best of our abilities and follow established methods. Innovative: We believe that we must always look for new ideas and methods to improve our products, costs, and consistency. Urgency: We believe that time is of the essence and that actions and requirements are addressed with great haste to assure the highest levels of satisfaction for the end customer. The ISO 14001 environmental management standards exist to help organizations (a) minimize how their operations (processes etc.) negatively affect the environment (i.e. cause adverse changes to air, water, or land); (b) comply with applicable laws, regulations, and other environmentally oriented requirements, and (c) continually improve in the above. The ISO 9001 family of standards relate to quality management systems and are designed to help organizations ensure they meet the needs of customers and other stakeholders. The standards are published by ISO, the International Organization for Standardization and deals with the fundamentals of quality management systems, including the eight management principles on which the family of standards is based. Shaw Development® is committed to protecting the environment as a part of its business practice. We will comply with all applicable laws, regulations and permits and will implement procedures to assure compliance. We will employ procedures and systems designed to prevent activities or conditions that pose threats to the environment. We will minimize risk and protect our employees and the community in which we operate. We will communicate our commitment to environmental protection to our employees, all persons working on behalf of the company and the public. We will ask for our employees help in meeting our goals.